E=motion is the solo project of Jacek Spruch from Gdynia, Poland. His music is influenced by Klaus Schulze and Tangerine Dream. He has also collaborated with another keyboardist, Mark Ashby. Together, they are called ESP. Their album, The Gate has been played on Galactic Travels. A multi-instrumentalist, Jacek also plays electric guitar, bass, and drums and has played in various rock groups. 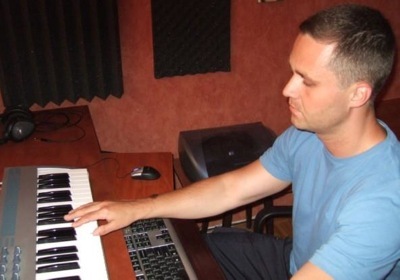 Jacek offers his music for film, multimedia, and other commercial productions. He is currently working on a synthpop/electro project influenced by Depeche Mode, De/Vision, and Camouflage. The albums featured this month are all released on Underwater Music. Progressive ambient artists Mark Mahoney and Michael Peck have been performing at such prestigious venues such as The Gathering, the Stars End radio show, and Electro-Music.com festivals. 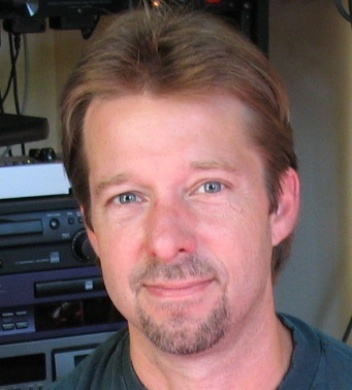 Mahoney has also soloed at the City Skies festivals and on stillstream.com internet radio. Peck has also played solo at one of City Skies' monthly events. 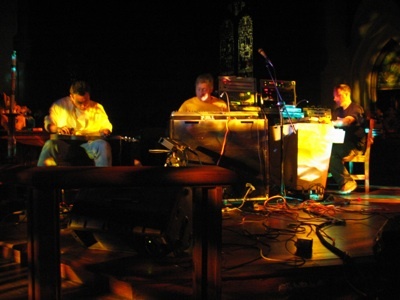 Radio Massacre International is Steve Dinsdale (Keyboards, Electronics, Drums) Duncan Goddard (Keyboards, Electronics, Bass) and Gary Houghton (Guitar, Keyboards). Since 1993 they have been building a catalogue of epic electronic improvisations, distilled into permanent records by the wonders of digital editing. Veterans of TV, radio, and concert performances all over the UK, Europe, and the US, they are coming back to the US to play at The Gatherings in Philadelphia. Their return to the US makes it a perfect time to make RMI the Special Focus. In December 2006, RMI released the long awaited six CD compilation Lost in Space, a career retrospective but containing entirely unreleased studio material from 1987 to 2003. The discs from this box set not previously featured on Galactic Travels will be featured this month. Become RMI's friend on MySpace. RMI has been featured on Galactic Travels before in June, 2008. The man behind Create is Steve Humphries. Using a variety of hardware and software synthesizers his music reflects the Berlin School sound he has loved with a passion for many years. As well as playing electronic music Steve also loves listening to other artists/bands, including Tangerine Dream, Klaus Schulze, Radio Massacre International and Airsculpture (to name but a few). Steve is relatively new to making music, only starting in September 2002 after trying a demo of the software program Reason. After getting to grips with the demo he went out and bought the full version, which he used to record his first CD Reflections From The Inner Light which was released in August, 2004 on the Groove Unlimited label. 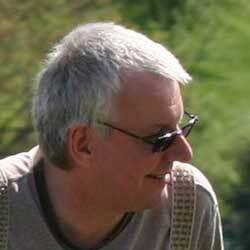 Steve is a member of Astrogator with Jez Creek (Modulator ESP). Steve is also a member of Quadra with Brendan Pollard (Rogue Element), John Sherwood (4m33s, Cult of Ashand, Entity), and Jez Creek (Modulator ESP, Astrogator). Become Create's friend on MySpace and Facebook. Create has been featured on Galactic Travels before in April, 2008. Jesse Sola is Numina. He plays lush, floating ambient music where themes mix with rich, synthetic orchestrations. Jesse very quickly established himself in the ambient firmament. His deep pulsing tones swirl all around you, encompassing you in ambient soundworlds that embrace you with quiet, deep, and dark sound clouds that unfold ever so slowly. Become Numina's friend on MySpace and Facebook. Numina has been featured on Galactic Travels before in July, 2006. Rene van der Wouden is a Dutch electronic musician. All the albums featured this month are on his own REWO Records label. René has been active in music since he was eight years old, beginning with classical and jazz piano lessons, followed by the organ. As a child, René was fascinated by the organs and synthesizers he saw on TV every week on two Dutch music shows; Toppop and Countdown. In 1987, René's interest in electronic music grew with his discovery of Jean Michel Jarre, Vangelis, Tangerine Dream, and Jeff Wayne's "War of the Worlds" along with exposure to "CD-show" on Dutch radio. 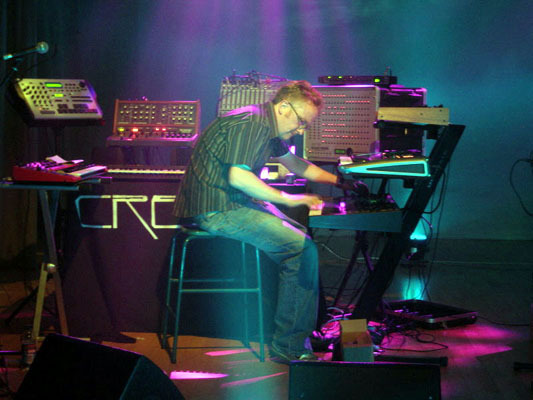 The music of Patrick O'Hearn, Mark Isham and Steve Roach also started to influence René. 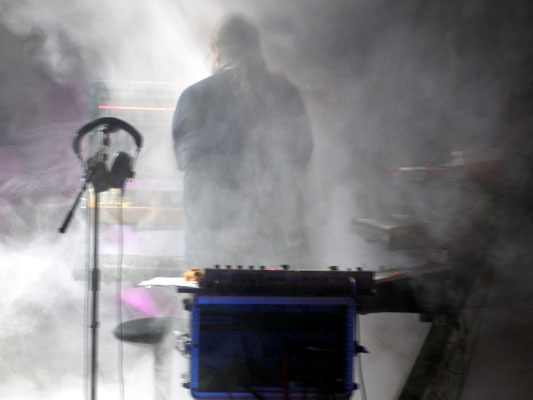 Klaus Schulze's music became an influence when René heard "The Dresden Performance" on the radio. René bought his first synthesizers in 1993 and has been making electronic music ever since. His first album and concert performance were in 2005. A number of albums and performances have followed. Become Rene's friend on MySpace and Facebook. computerchemist is the ongoing solo project of Dave Pearson, who lives in Sz�kesfeh�rv�r, Hungary, after moving from the UK in 2008. 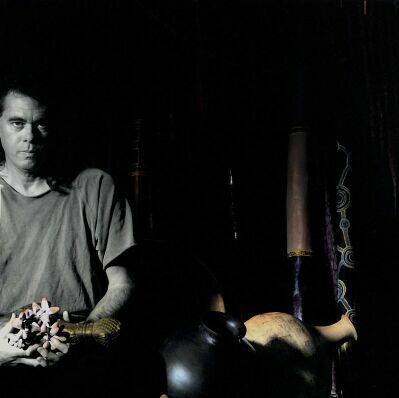 Ever since the early 80s Dave's music has been strongly influenced by "classic" Berlin School performers such as Tangerine Dream (mostly from the '72-'86 period) and Klaus Schulze, as well as taking inspiration from newer, more contemporary musicians with a diversity ranging from The Mars Volta to Csaba Vedres. Become computerhemist's friend on MySpace and Facebook. 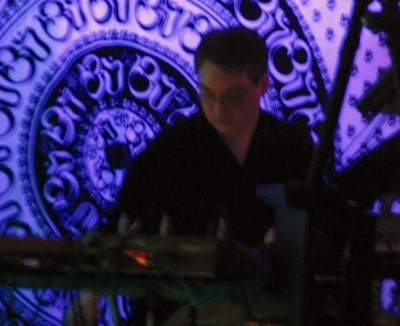 Modulator Experimental Synthesis Project (Modulator ESP) is Jez Creek from Nottinghm in the UK. He performs improvised music that explores the boundaries of dark ambient, drone, Berlin School sequencing, and noise using modular synthesis, real-time sampling, sound manipulation, and live looping. 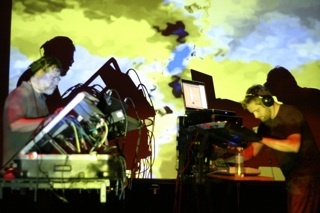 Modulator is coming to the US to play at the Sopundscapes Concert Series on Sunday, September 5, at 8:00 pm and at the 2010 electro-music festival which takes place Friday through Sunday, September 10 through 12. He will preempt the Featured CD at Midnight on the 9th by playing a live set on Galactic Travels from the studios of WDIY. Become Modulator ESP's friend on MySpace and Facebook. Each year, an inspirational location is selected and is somehow tied to a Tangering Dream theme. To date, locations have included the Okefenokee Swamp, the Mojave Desert, Poland, the Canary Islands, Tuscany, Yellowstone, Transylvania (Romania), and Croatia. The gathering in Croatia was the last one as they have been known. 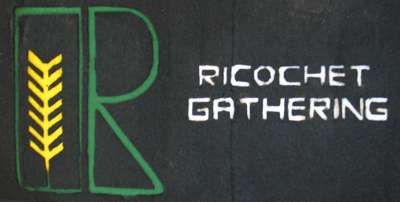 This year, Ricochet Gathering is having its grand finale in Berlin, Germany where Berlin School or spacemusic began. This is a celebration of 40 years of spacemusic and features a four day concert festival. Each album featured this month was recorded at a Ricochet Gathering and is released on either the Ricochet Dream label or it's sublabel, Imperial Teutonic. Become Ricochet Dream's friend on MySpace. Over several years, Dan has pieced together a home studio where he does most of his work, recording and producing his music independently. He specializes in music for film and multi-media, as well as recording and producing his own albums on his newly developed label, Pound Sounds. Become Dan Pound's friend on MySpace and Facebook. 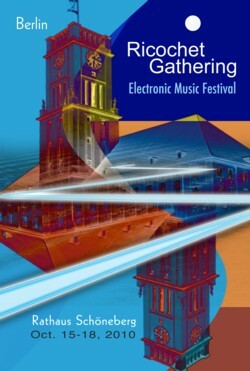 Modulator ESP has been featured on Galactic Travels before in September, 2010. He also played a live set on Galactic Travels that month.